The uncertainty about the future of Sealine International is causing concern amongst both existing Sealine owners, & potential owners, they are still in need of both advice on, and physical help with, installing & maintaining auxiliary equipment as well as the fabric of the boats. 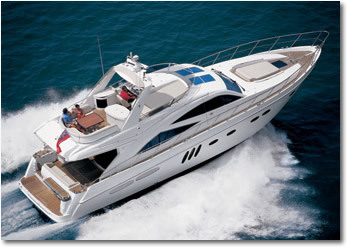 To meet these needs a team of the Sealine senior manufacturing staff have been handpicked from the workforce. This team is led by two of the longest serving managers at Sealine, with 30+ years service each, Ted Waters was the Warranty Team Manager & Colin Griffin the Electrical Engineering Manager. The team comprises of laminators, Gel repairers, Carpenters, Fitters, Engineers and Electricians. In fact, there are all the skills necessary to build a boat from scratch. The team are able to carry out any work associated with laminating, fibreglass repairs, carpentry including teak repairs, water leaks and fitting inside the boat, installation of heating, air conditioning, generators etc, electrical fault finding and the installation and upgrades of electronics. These senior staff probably worked on your boat, they certainly carry the knowledge you want access to, both now & in the future. Please be aware that we are in no way connected to Sealine other than we were all fellow employees of the company and our services are chargeable and not covered by any warranty that may have been offered when purchasing your boat through Sealine direct.